Hello & welcome! Last time I shared my experience of Rottnest Island, Western Australia. 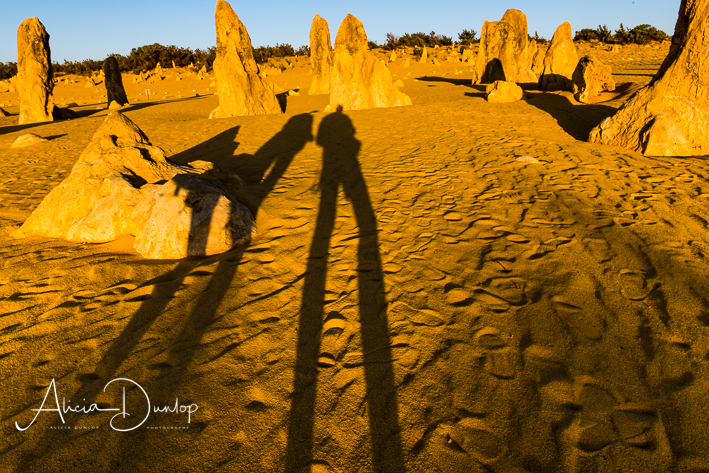 Today I want to share with you the highlights of our trip to the Pinnacles Desert in Western Australia. This was our first paid excursion on our round the world trip, so it will also double up as a review. Before I go any further, I want to make it clear that this is an honest review of the day we had. I have not been paid to make these comments – I am a traveller like you and used my own hard earned cash to pay for the trip. I booked our trip the Pinnacles Desert through GPS Adventure Tours. I was keen to get photos with long shadows and hopefully have an amazing sunset as a back drop. However, I was reluctant to drive to the desert myself as I know kangaroos are active on the route between dusk and sunrise. The last thing I wanted to do was to hit a kangaroo on the drive there. My solution – book an excursion! GPS Adventure Tours provided the perfect solution. GPS Adventure Tours are a husband and wife team – Gavin and Natalie. Booking online was easy and straight forward. We were met at the pick up point with no problems. 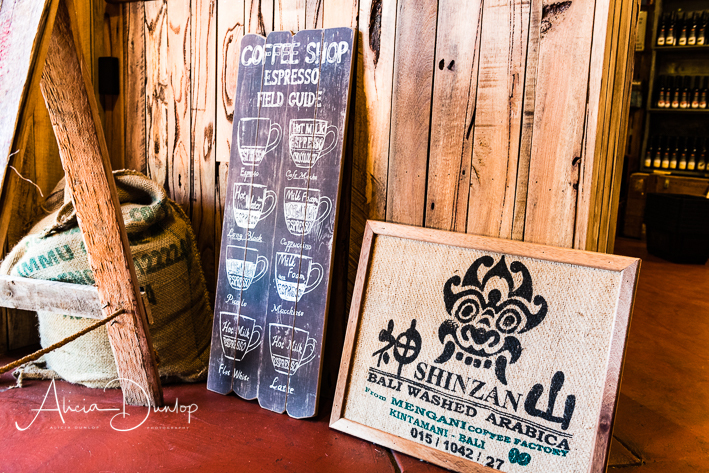 If you’d like to find out more, click on this GPS Adventure Tours link. I liked the fact that they were a small local business who were offering the kind of trip I was interested in. The first part of the excursion took us through the Swan Valley. 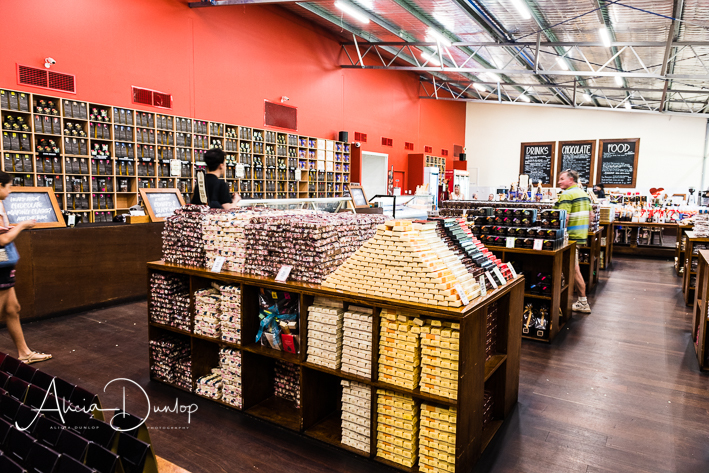 There are various stops arranged along the way – we called into a winery, chocolate makers, coffee maker and honey/wine producer. 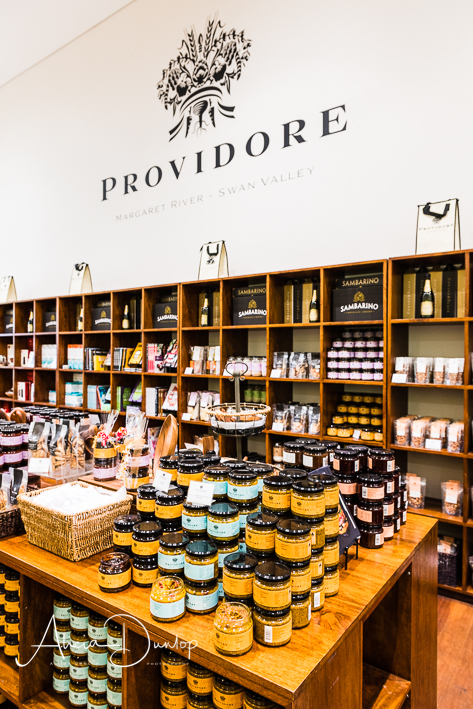 Tastings are readily available and I defy anyone to visit these producers without parting with their money! 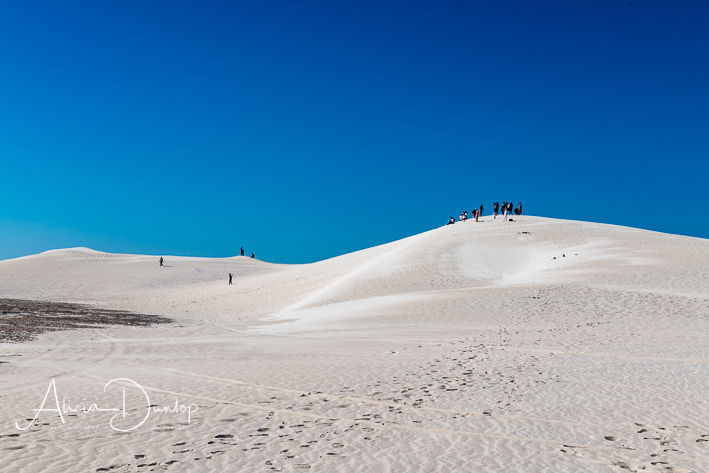 Two bottles of wine and a coffee later, we made our way to Lancelin. 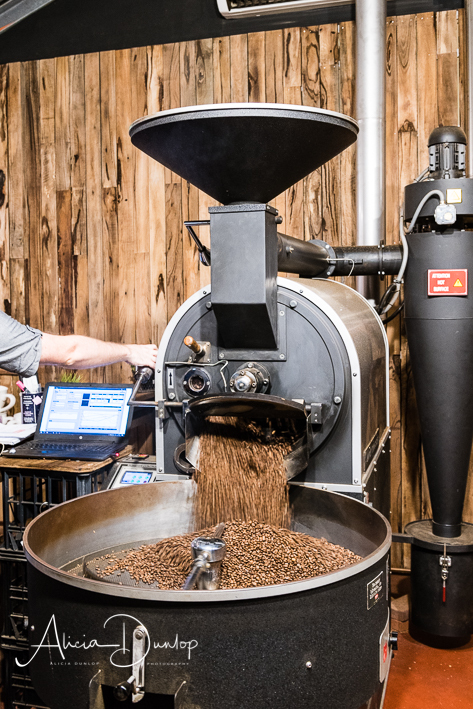 Coffee Roasting – it smelt divine! We enjoyed a very happy hour sand boarding! It was great fun and I highly recommend it! To be honest, the sand dunes are a sight to see in their own right as you can see from the photo below. So big. So white. The sand is so fine. The experience of speeding down the dunes, with the sun on your face and wind through your hair is simply exhilarating. I laughed A LOT! For that hour I felt like a kid again. It really was a fabulous experience. I was a little worried about the sand but it is so fine it is easy to brush off afterwards. So do not let anything put you off. 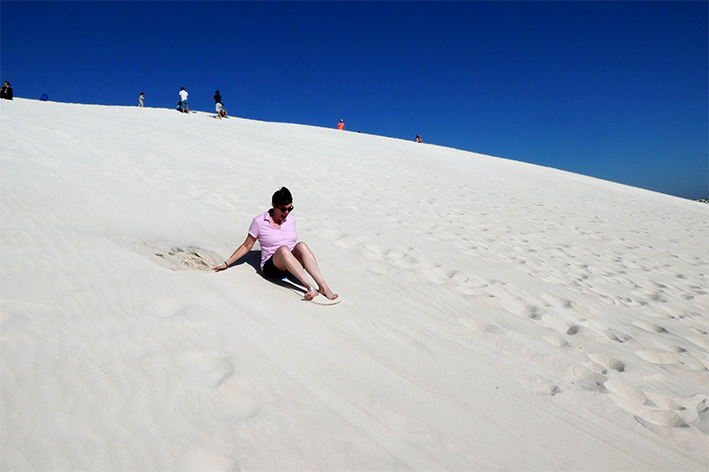 Add sand boarding to your bucket list and get yourself on the slopes tomorrow! Me sand boarding! So much fun – I loved it! 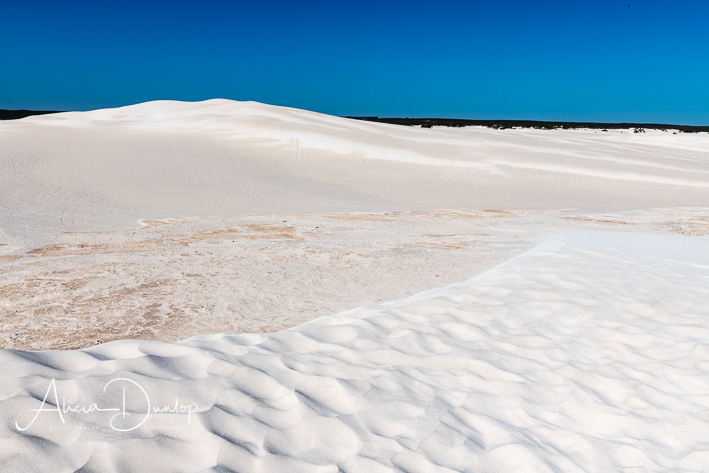 Following our fun on the dunes, we continued our drive up to Nambung National Park and the Pinnacles Desert. 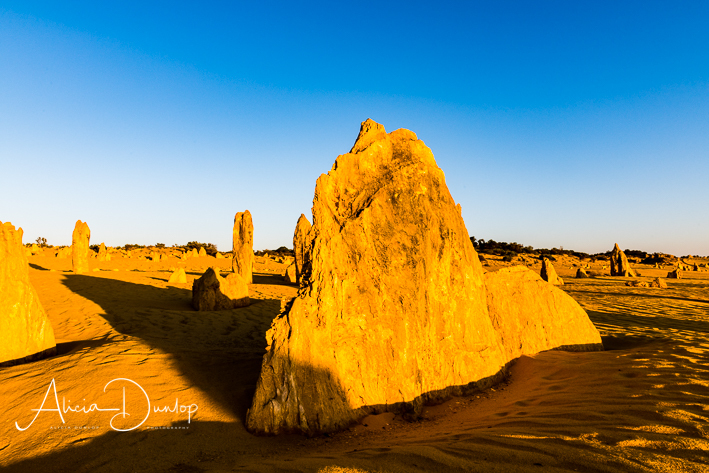 The Pinnacles Desert is made up of thousands of limestone pillars that formed 25,000 – 30,000 years ago after the ocean receded. You can find out more about the creation of the area here. 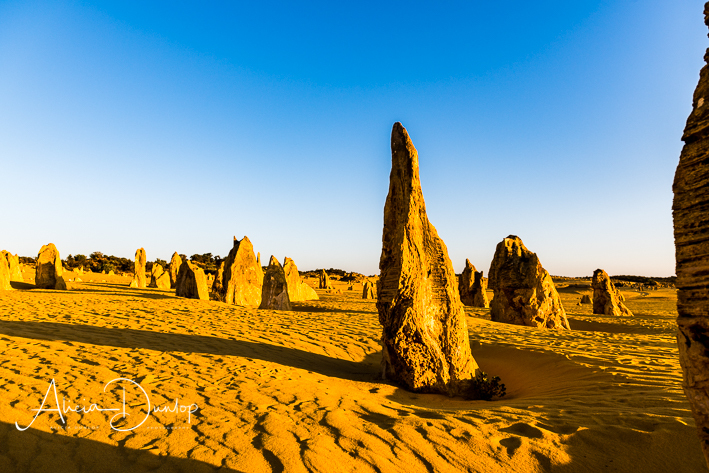 The pinnacles are an impressive size – most are well over 2 metres high, some are as much as 5 metres. We arrived late in the afternoon, as the sun was getting lower in the sky. The shadows these formations cast are so long. The afternoon sun on the red sand so vivid in colour – everywhere you turn there are contrasts. I was also amazed at how vast the desert is. It reaches as far as the eye can see. With not a cloud in the sky, there wasn’t an amazing sunset for me to share with you. 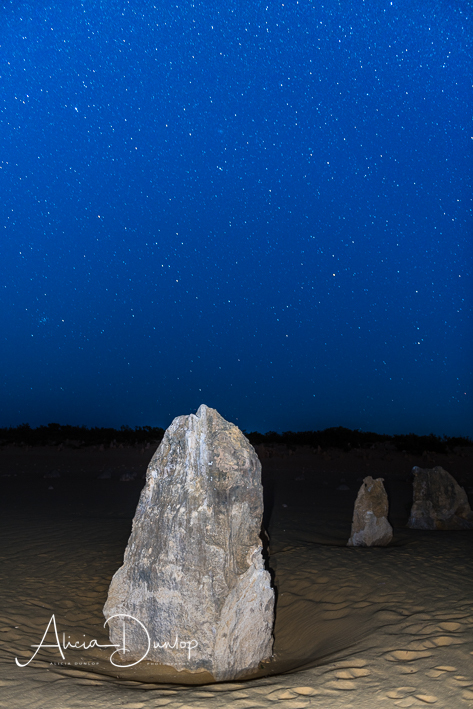 So after a yummy BBQ supper and a glass of wine, whilst the group began star gazing, I pottered off on my own for half an hour to photograph some of the limestone formations with the night sky as a back drop. 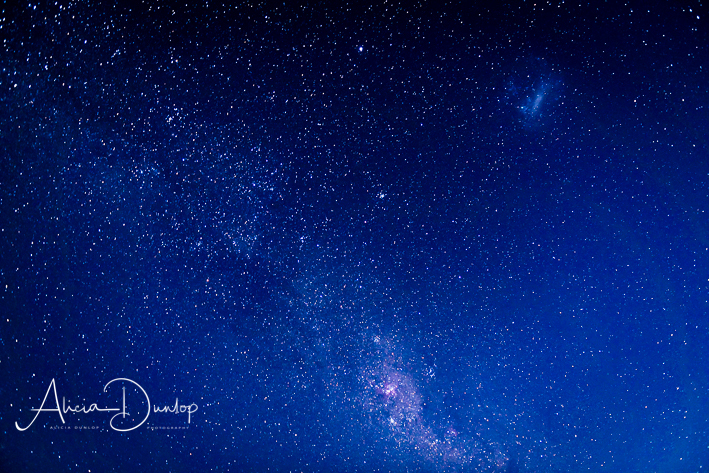 I even managed to capture the Milky Way – here’s my very first attempt. On our way back to the city we did see kangaroos. One very large grey male, looked me in the eye as he stood at the side of the road and I hoped he didn’t bounce in front of us. Bearing in mind I was sat in a mini-bus, I think its safe to say he was a big fella! Another hopped across the road in front of us. This cemented my decision that not driving and booking the trip was the right thing to do! It was a long but wonderfully memorable day and one I would happily do again. I can’t recommend it highly enough! Next time I will tell you about our time visiting Uluru. Thanks for reading! Where will your next adventure take you? Warmest wishes, Alicia.